In September, the TF team visited our KusiROSTROS project in Lima, Peru. We have partnered with Asociacion Civil Splendor (KusiRostros) to establish five Community Rehabilitation Centres (CRCs) in impoverished areas surrounding Lima. Housed in a clinic or health post, each centre has a dentist, speech therapist and nurse co-ordinator, and offers families the medical, feeding and counselling support they need, close to home. Some of the staff can be viewed below (on left). Our goal was to treat 100 children in the first year of our three year pilot project. The response was overwhelming. A total of 200 children were treated over the past year and an additional CRC was opened to meet demand. We were able to visit families who have benefited from the care provided by the Community Rehabilitation Centres (CRCs). We travelled with the psychologist, who was visiting patients homes to make sure patients and their parents felt prepared and informed for future care. 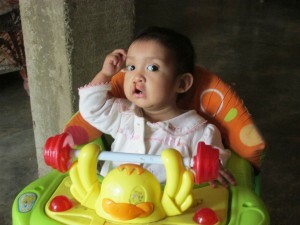 We visited Francini, top right, who just turned 1 and may have other issues apart from her cleft, at her grandmother’s home. The team is working hard to make sure that Francini attains the proper weight before undergoing surgery. 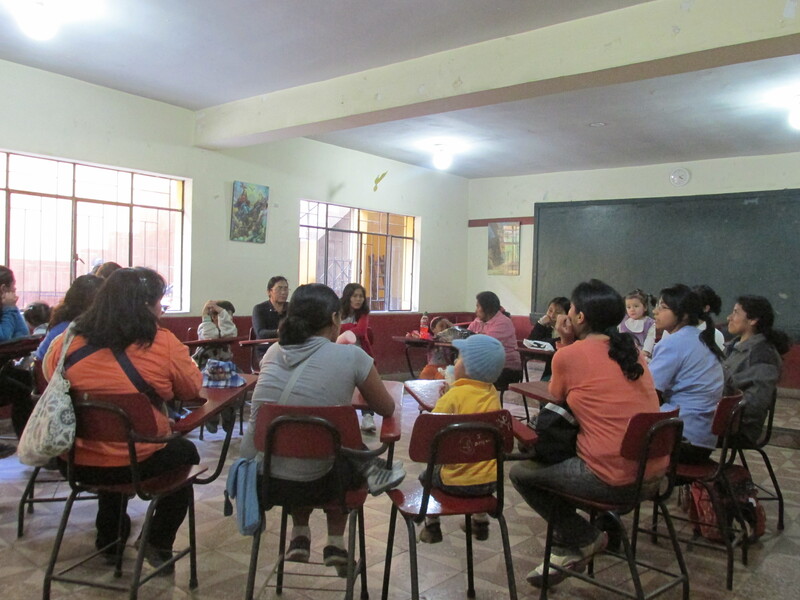 We visited a CRC in Ate, a district of the Lima Province, in the eastern part of the province. This CRC is located in a church basement and services take place on Wednesdays. We witnessed Danna Cubas and her mom get some information from Yovanna da Pautas, a nurse. We also participated in a parents group, facilitated by the staff psychologist, Carmela. They spoke about how to handle bullying and how to support their children. One grandmother noted that when her daughter gave birth to a child with cleft, she was afraid that her husband would leave her. The family worked together and sought assistance from KusiRostros. 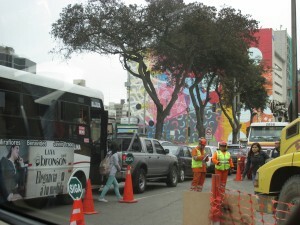 We then visited the CRC in San Juan de Miraflores, a southern district of the Lima Province. This CRC is located in an existing clinic and takes place on Wednesdays. Below, Erick Bravo, Angelo, Benjamin pose with TF’s Susana Munarriz and KusiRostros’ Maria Teresa at the CRC in San Juan de Miraflores. We spent a lot of time on the road en route to visit families. Accessibility – from geographical distance, to traffic, to shame felt when travelling on buses – proved to be a huge barrier to care in Lima. We spoke to many families who now praised the commute to care – in one case, a commute went from 1.5 hours to 5 minutes. Most families we spoke to were only 20 minutes away from the closest CRC. Before the CRCs, 49% of our patients were travelling 1-3 hours to access care. 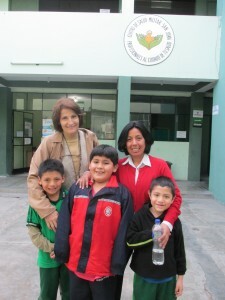 We then visited the CRC located in San Juan de Lurigancho, a district located on the eastern edge of Lima. According to INEI, it is Peru’s most populated district with over one million inhabitants. 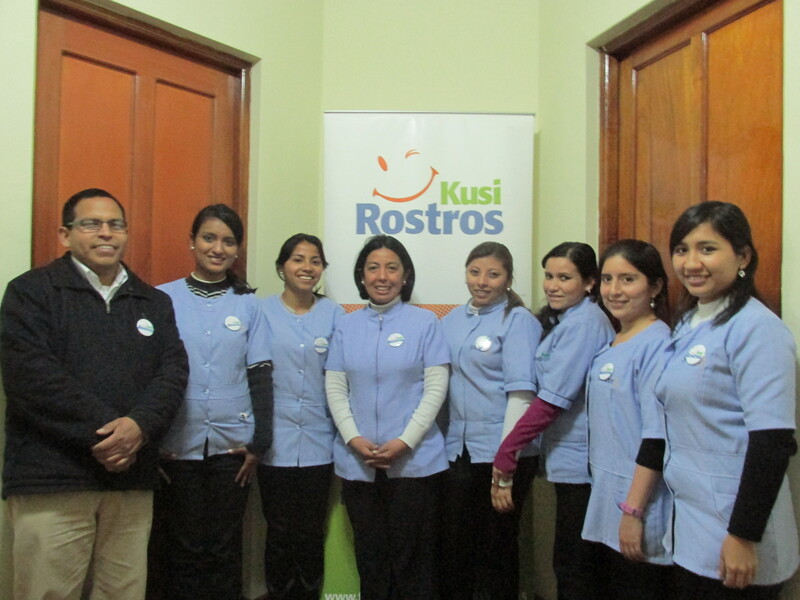 On September 6, KusiRostros hosted an education session for parents and children affected by cleft palate. 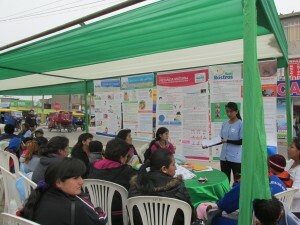 Information about feeding and oral health, as well as counselling, was provided. We spent some time at the KusiRostros head office, where once a week they admit new patients and do 6 month check ups. There was a focus on oral health with the resident dentist, Fiorella. She used demonstrations and a dye to show kids proper brushing techniques. The TF team travelled to Peru with the intention of finding a reference centre that can provide expanded services (especially dental) for our patients in Lima. We were also able to meet with public hospitals, university clinics and other charities in order to find dentistry and orthodontic solutions for children and adults with cleft lip and palate. We met with Caridad Hidalgo, the vice-president of the Peruvian cleft association, to discuss appropriate reference centre venues and several links with surrounding university clinics were forged. We met with Smile Train and Operation Smile (Operación Sonrisa) representatives to discuss ways that our three organizations can cooperate in Latin America. This was the first time all three groups had met formally. 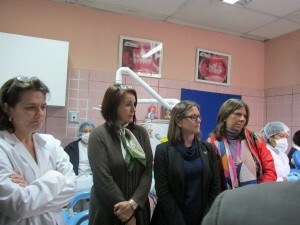 The group went to the Hospital de Niños, a possible site for the Reference Centre. We met with representatives of the surgical team as well as Dr. Roberto Shimanuku, General Director of the Peruvian National Health Institute to discuss potential partnerships between Hospital de Niños and our three organizations. 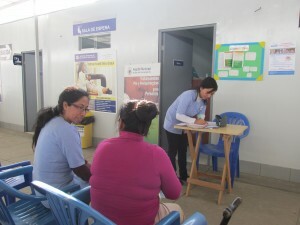 Pictured here at the Hospital de Niños is Dra. Wieslava (from the children’s hospital), Maritza Podesta (Operation Smile), Mackinnon Webster (Smile Train) and Margarita Vargas (Operation Smile International). Find out more about our work in Peru!